Saturday, 9 November 2013: Two Hundred and Twenty Three Days Old. 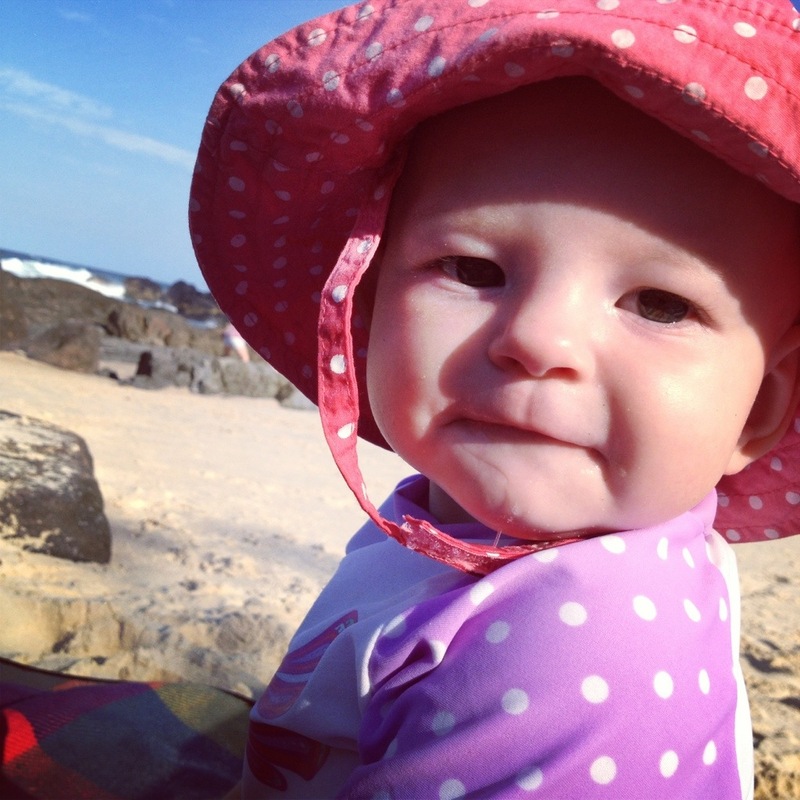 Ayla went to the beach for the very first time today! It was a bit cold and very windy so we didn’t hit the surf but instead found a lovely little bay that was tucked in out of the weather. Of all things – the sounds, the smells, the swell of the ocean or the birds – it was the sand that had Ayla completely mesmerised! She kicked it, and grabbed it, and ate it, and sunk into it, and walked on it, and stared at it… The. Whole. Time. It was hard to get her to look up for a photo, and she was hardly interested in the water at all. And the other kids on the beach…? Meh. It just goes to show how sensitive Ayla is to learning and experiencing new things. To us, sand is boring and commonplace (in fact it’s even annoying and dislikable sometimes!) but to Baby Ayla it’s an amazing source of new sensory information; texture, movement, sound, look and feel. I love how Ayla helps me to see the world through new eyes; she ALMOST got me thinking sand is interesting. Thursday, 31 October 2013: Two Hundred and Thirteen Days Old. As the daughter of an Scottish ex-pat, dressing up and ‘guising‘ on ‘All Hallows Eve‘ was as much a part of my childhood as was barbecuing on Australia Day… In fact, probably more so. To 6 year old me, Halloween was about making costumes out of things we found at home, practicing a trick to do in exchange for treats, “dooking for apples“, and staying up past bed time on a school night. And that’s the kind of Halloween I want Ayla to know. So of course for Ayla’s first Halloween I couldn’t refuse the chance to dress her up! 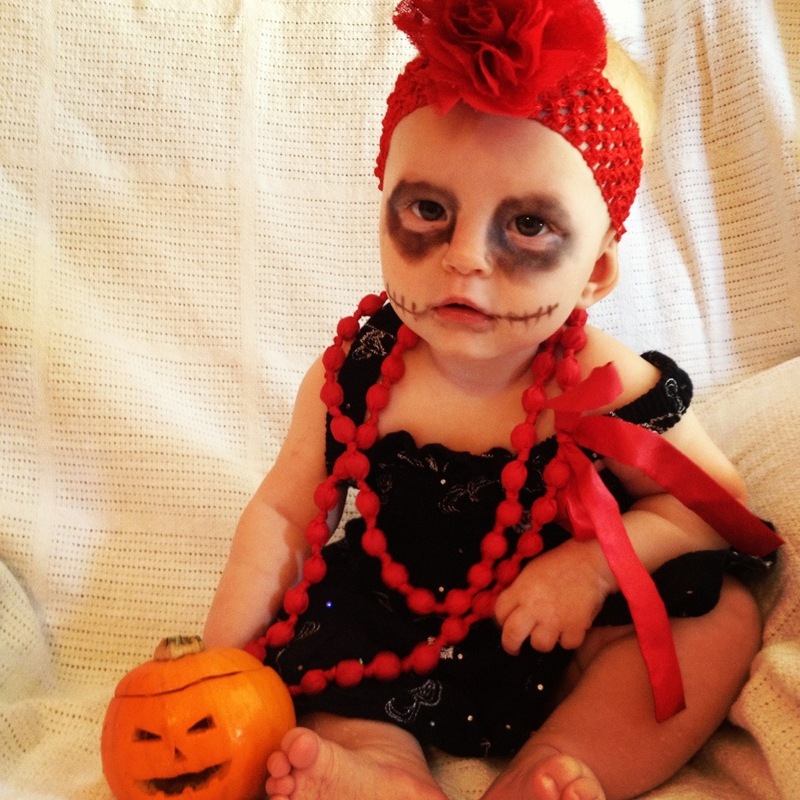 Using a little black frock, some costume jewellery and a bit of black make up, Baby Ayla was quickly and easily transformed into … Duh duh duuuhhhhh….. Baby Zombie. Ayla loved her costume, especially the necklace, and she played with the jack-o-latern Daddy carved for her for ages. And, while we won’t be trick-or-treating this year, it was great fun to dress up, take pics and imagine what next years Halloween will be like. I wonder what Ayla will want to dress up as? This vid is of Ayla’s first solo swim! No hands, under the floaty mat she went. I was freaking out a bit from the sidelines but Hubby had it all under control. Saturday, 28 September 2013: One Hundred and Eighty Days Old. 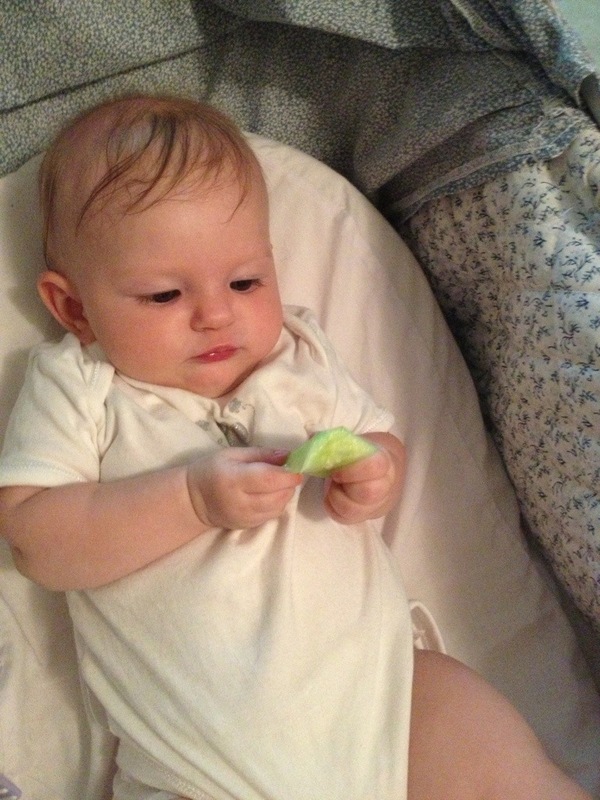 Baby Ayla has certainly taken her interest in food up a notch lately! Whenever I’m eating or drinking Ayla’s reaching over, trying to grab it with eyes wife and mouth open. So whenever she’s started to show interest I’ve tried to give her something to chew on; banana, strawberries, cucumber, carrot, even a bit of yogurt! To try and create a bit of routine with food, I’ve been giving Ayla baby porridge at breakfast and lunch! I let her grab the spoon and try to feed herself – it makes a massive mess but its super fun!